Who opposes a free and open Internet? Answer: government. Who do activists beg to protect Internet freedom? Government. 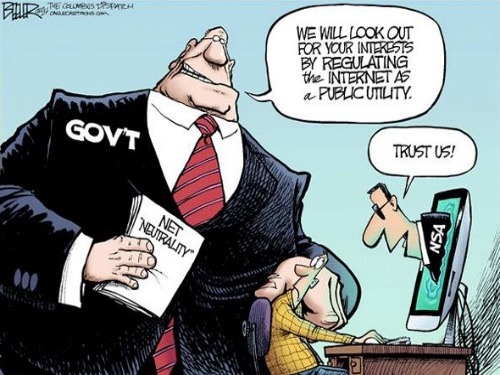 Trusting the government to run the Internet is like trusting the NSA to never spy on Americans. If the FCC’s plan to regulate the Internet is so wonderful, why can’t the American people read it before it goes into effect? A new video by Project Internet Freedom highlights the absurd “solution” to a problem that doesn’t exist.